Cape May County is a great place to camp and to hold your group event. 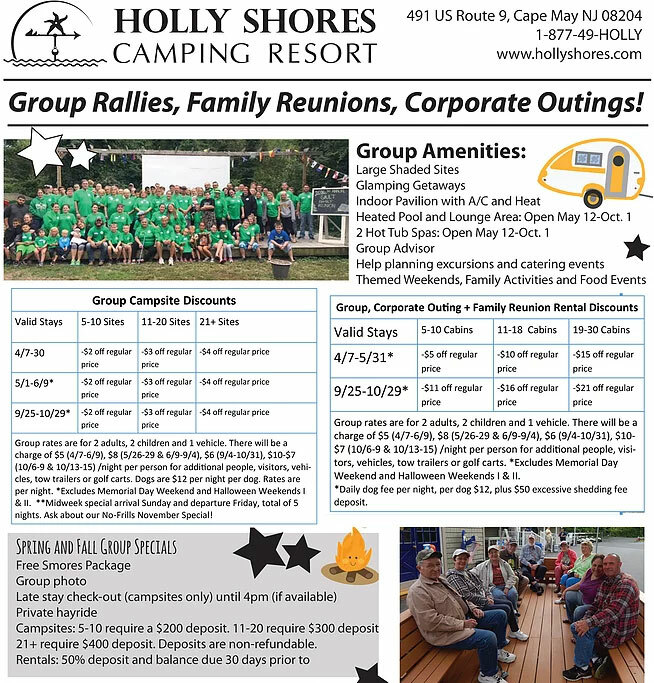 Whether you have a small group or a large family reunion or corporate outing, Holly Shores Camping Resort can make your event memorable. 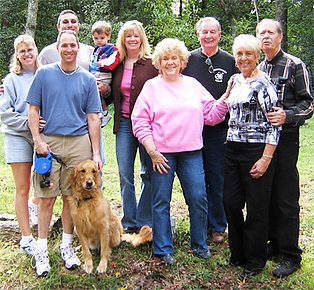 We offer everything from large, shaded stone RV sites to over 30 deluxe cabin rentals to accommodate your group. We offer group camping specials and discounts. Contact Us or call 609-886-1234 for help organizing your group or event.